The dash from cash is accelerating. Back in 2006 cash payments accounted for more than 60% of all financial transactions. Latest government projections suggest this will fall to 21% by 2026. It could be further still. Contactless and other digital forms of payment are proving so popular that many of us are already abandoning cash altogether. There has even been talk of government removing 1p and 2p coins from circulation - before long there may be no brass in anyone’s pockets. This trend is already impacting charities. 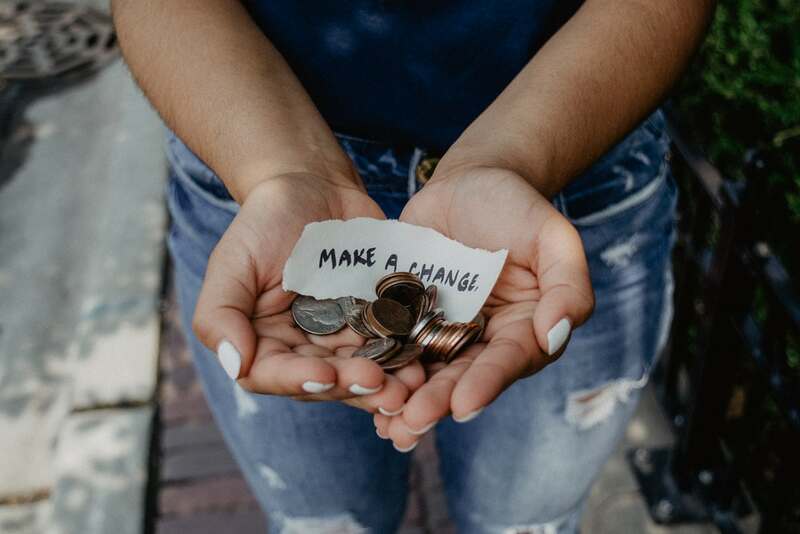 A survey published by the Institute of Fundraising over the summer showed that 171 out of 245 member organisations across the UK reported either a significant or slight decrease in cash donations since 2015. It also revealed that 86% of respondents predicted decreases in cash giving over the next five years. The remaining 14% presumably live in a parallel universe. Despite this, comparatively few fundraising charities – just 26% - have even tried to raise money through contactless systems. The remaining 74% were split. Some felt that they “didn’t have the skills” to make a system work for them, which seems an extraordinary admission of either incompetence or ignorance, given how ubiquitous they have become. Others said they would not use them because they cost money. This again seems a strange position. Contactless systems are not expensive and would surely be far less than they are currently losing in cash donations. Thankfully 72% do say that they will be examining contactless payment technology in the future – with a similar number saying that they believe such systems either to be a slight or significant opportunity for fundraisers. There is another side to this. The survey responses showed a very strong degree of loyalty to public cash collection through collection buckets on the streets, and the boxes we so often see in the shops. Charities cited a number of wider benefits: they raise awareness of the cause and the charity’s brand, encourage spontaneous generosity, prompt conversations about charities and bring workers face to face with the public. Whilst all this is true, it would be equally true if collectors used contactless terminals alongside the buckets and boxes. Experience of retailers suggests that people tend to spend more with cards as the transaction feels less painful than handing over cash – and average donations collected this way would typically be more than loose change. It seems clear that the sector needs to gear up fast to the dash from cash – and early adopters appear to be doing extremely well. The UN’s World Food Programme’s ‘Share the Meal’ mobile app, for instance, allows supporters to make an on-the-spot ‘micropayment’ of 50 cents to feed a child for a day, simply by tapping on their phone. The total number of shared meals to date has passed 20 million. Last year 22 of the biggest UK charities partnered with Apple to allow iOS users to pledge donations through Apple Pay. The feature allows anyone with a supported iPhone, iPad or Apple Watch to send money securely, using only their fingerprint. Barclaycard has developed contactless collection boxes which 11 charities in the UK are currently trialling. These also have chip and pin capability, allowing donors to go over the £30 limit. The bank claims that at one event a member of the public donated £1,000 this way. One of the most exciting initiatives of all is HullCoins which was launched in Hull this year and has already gained global acclaim. HullCoins is a digital currency which uses the same kind of blockchain technology as bitcoin. But unlike other cryptocurrencies this one is designed to promote social good. It was designed by David Shepherdson, financial inclusion officer at Hull City Council and Lisa Bovill, who used to be its head of welfare rights. The two were researching ways in which the council could alleviate poverty in the city. They devised HullCoins and then left the council to launch it as a social enterprise. The resulting business Kaini Industries subsequently “mined” 10 million coins which were issued in bundles of 500 to community groups who can then “pay” them to individuals doing work which makes the city a better community. These then can be traded with retailers for goods and services who offer them discounts. They can then recirculate the coins to staff, customers who grant them to community groups to recycle. Essentially people earn digital coins through good work. Giving up smoking also counts as it reduces costs for the health service. In return those retailers taking part offer discounts varying from 10 to 50%. Issuing organisations in the city include charities, schools, health bodies and even the local prison. It is attractive to shops, cafes and other retailers because through discounts they increase footfall. To them it is very much like a customer loyalty card and a CSR programme combined. The coins cannot be used to pay for harmful things like cigarettes and alcohol and an adjudication panel has been appointed to rule on what kind of takeaway food qualifies. The currency has no official recognition. This is a good thing for citizens in Hull. It means that the benefits people get from them cannot be deducted from benefits. It is therefore a virtuous circle whereby good work which benefits the community is supported by local businesses, whose customer loyalty grows as a result, boosts volunteerism, helps people in poverty and improves neighbourliness in the area. The system records every good work that volunteers undertake which can then be used for their CVs, boosting employment prospects. The project is truly exciting because it demonstrates how the latest technology can be used in order to promote mutual aid and enhance community economies – both very old school but sound concepts in a way never previously possible. The future of doing good is full of promise. The sector needs to work hard to identify and exploit the exciting new opportunities.